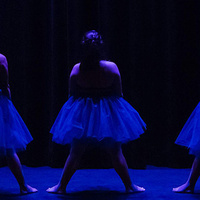 The Movement Project is a dance show that brings together many local Eugene/Springfield dance groups as well as special guest groups from around the state for a very special cause: to raise awareness for a very rare and aggressive pediatric brain cancer called AT/RT. Our mission is to support the community we live in through dance and 100% of our show’s proceeds will go towards AT/RT research. This benefit show features many different dance styles such as: ballet, modern, contemporary, hip hop, belly dancing and more!